Kristy Finstad is a NAUI instructor with a degree in Aquatic Biology and a spirit of adventure. Combine that with a tidy knack for planning and thousands of dives under her belt. “There’s nothing better than seeing divers’ dream vacations come true.” Kristy’s first dives were under Bill’s arm, a toddler breathing from his octopus in the Channel Islands; her first tank worn in Cozumel when she was nine. Twice funded by the National Science Foundation, Kristy studied damselfish and corals in the Tahitian Islands; she was also a full-scholar abroad in Costa Rica and Australia. 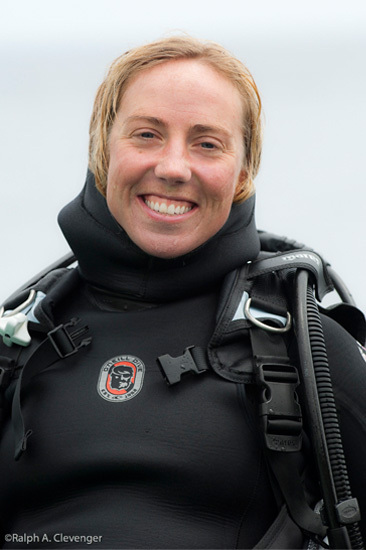 Kristy’s employment history includes research diving for the Australian Institute of Marine Science, authoring a restoration guidebook for the California Coastal Commission, diving for black pearls in the Tuamotus, and counting salmonids for the City of Santa Cruz. “My mission is to inspire appreciation for our underwater world. I feel incredibly fortunate to be in the service of helping people invest in experiences of a lifetime.” Lover of travel and culture, Kristy is sailing around the South Pacific with her husband Dan, finding new and amazing places to bring Worldwide Diving Adventurers… with some surf and yoga on the side.